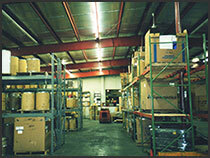 Krato Products serves a wide range of industries and companies nationally and internationally. We work with each company on an individual basis to meet the unique requirements of each job. Krato Products has the ability to provide multiple services for any business, as well as, having the capability to provide just one or two services to fit your job. Each company's needs are different, and we strive to meet any expectation. Please contact us today by calling 314.436.2449. Or, submit a request form by visiting our contact page, or just to the left Request a Bid. We look forward to working with you.